When I was asked to review this book from the publisher*, I said yes without knowing anything about it. The title intrigued me, so I thought I’d give it a chance. I have to be honest though, anytime I hear anything about “faerie” books, I’m always a bit wary. Some books can be a bit more new agey than I like, and, dare I say it- a little fluffy. However, I was pleasantly surprised by how this book treats the subject of faeries. To start out, the authors talk about Man and his symbiotic relationship with the earth. Talk is quickly shifted to a “go green” type of message, and how important this is in order to have any relationship with the faeries. It comes off a bit heavy handed, especially since it’s all information that any pagan already knows. However, Wood and Steinke then go on to explain how they view faeries- as the life forces of plants. They explain that plants are living beings, and that each faerie has an individual energy and personality that is a manifestation of that plant energy. They go on to say that Steinke’s lovely illustrations are her own personal interpretation of that faerie energy. I was really happy with this explanation, as it’s pretty close to my own view of faeries and they explain it in a easy to understand way. There are a few more chapters on magickal** gardening, green gardening, and complimentary medicine. I found these to be a bit extraneous though, because they only touch on the subjects in passing. I’m glad though, because the best part of the book is what’s next- the Herbal Index. I loved this part of the book. The set up is that each herb has it’s own entry, with 33 of the most common herbs represented. Each herb has Steinke’s illustration of the faerie energy of the herb, a description of the plant, how to take care of it, and some magickal way to use the herb- whether that be an ingredient in a recipe, an ingredient in a spell, or perhaps a way to make your own beauty product. The only thing I found myself wishing for in this portion of the book was an actual picture of the plant/herb. However, since they’re so common, a quick google search will pull up plenty of pictures. I really enjoyed this portion of the book, and I think it would be great for someone new to working with herbs (like me). Overall, I was pretty happy with The Faeries Guide to Green Magick from the Garden. It is definitely written for those new to gardening, working with faeries, and even to witchcraft in general. Sometimes the tone is almost apologetic for being about “magick”- as if they are writing to the average person who has never even thought about magick or witchcraft before, which is not who is going to be buying this book. I found this to be a bit patronizing at times. However, the Herbal Index alone makes the book worth it to me. The descriptions, how to care for the plant, a fun way to use that particular herb, and not to mention the wonderful illustrations, all made me think it will be a good book to have in my repertoire. Again, it is for beginners, so if you’re a seasoned herbalist, this book will probably not have enough information for you. But, if you want an easy introduction into working with faeries and working with magickal herbs, then think about checking out this book. *In the interest of full disclosure, the publisher contacted me and asked if I would give an honest review of the book. I haven’t been paid for this review, and I didn’t pay for the book. **Also, I’d like to note that I don’t usually make the distinction between magic and magick, but the book makes a point of explaining this, so I figured I would stick with that spelling. The same goes with the fairy/faerie spelling. 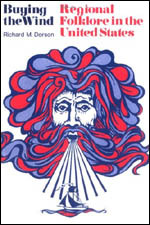 This popular history of metaphysical thought in the United States has brought mainstream attention to many of the esoteric underpinnings of American culture. Fueled by films such as National Treasure, the “secret history” trend seems to have greatly informed Horowitz’s Occult America. In this text, the author traces several key lines of occult thought through the pages of American history, starting primarily in New York and working his way south and west across the landscape. He spends a good deal of time examining the “Burned Over District” near the Erie Canal, which spawned a number of new religious and spiritual movements during the eighteenth and nineteenth centuries. Mormonism, the Shakers, and even Spiritualism all have roots in this particular region, according to Horowitz, who treats the area as an incubator for esoteric thought. The author then follows these nascent movements and some of their most visible members as they impact and shape American culture during the formative years of the new republic. Joseph Smith, Henry Steel Olcott, Jemima Wilkinson (aka the “Publick Universal Friend”), Helena Blavatsky, Andrew Jackson Davis, and Edgar Cayce are just some of the myriad personalities Horowitz examines in his whirlwind tour of historic America’s spiritual scene. He devotes pages to hoodoo mail order merchants and Voodoo worshipers in New Orleans. He introduces the phenomenon of correspondence-course religions, such as Paul Foster Case’s Builders of the Adytum, which saw a flurry of popularity in the nineteenth and early twentieth centuries. Horowitz also does all of his examining with an infectious enthusiasm which keeps the reader turning pages to see the next dizzying connection between occult America’s disparate streams. Occult America has its faults, too. Horowitz so enthusiastically pursues the movements eminating from the Burned Over District that he neglects other key influences on magical and spiritual thought. For instance, he spends little time looking into the Appalachian Mountains and the many religious and folk magical traditions which stemmed from the Pennsylvania-to-Georgia portion of that range (a subject wich is explored very well in Gerald C. Milne’s Signs, Cures, & Witchery). He also gives short shrift to the occult legacy of places like Chicago, and devotes a relatively small amont of text to New Orleans—though that may be because it could be a book unto itself. He focuses more keenly on new philosophical movements and areas which might be classified as “New Age” rather than looking at the on-the-ground practical elements of American occultism. Even with all of that being said, however, the areas in which his focus is sharpest are often quite marvelous. His chapter on Manly P. Hall, author of the profoundly world-shaking The Secret Teachings of All Ages, is worth reading and re-reading for any student of esoteric thought. His chapter on the Ouija board is a delight as well. Mitch Horowitz’s Occult America makes a good starting point for understanding the wide-ranging influences which have fed American spirituality since before the Declaration of Independence existed. While its net is broad and therefore sometimes it only shallowly explores major topics, it can easily provide a reader with enough good questions and resources to explore those topics on his or her own. It is far from comprehensive, but it is accessible and energetic, and will likely whet the intellectual appetite of any curious occultist. I know, I know, two book reviews in a row may seem excessive, but I spent a lot of time reading over the past few weeks, so bear with me. Plus, you may find some new books to investigate! Today’s book is Blue Roots by Roger Pinckney. 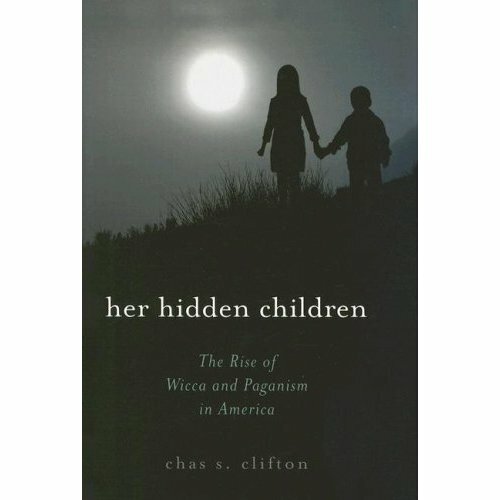 It’s about rootwork, hoodoo, and conjure, but not the broad, general kind so often discussed in other books and on blogs and webpages (including this one). Instead, Pinckney focuses on the healing and magical traditions of one particular group: the Gullahs. Primarily associated with the Savannah, Georgia area, the Gullah people inhabit a large swathe of the lower Atlantic seaboard, especially the islands just off the coast of George and South Carolina. They are often referenced as an “untouched” enclave of African-American culture, and portrayed as a sort of quaint and folksy pocket of rural Americana. “Prior to the [American] Revolution when coastal plantations produced indigo dye for English cloth, planters gave their slaves the dregs from the boiling pots, which the slaves used to decorate window frames and porch posts, in the believe the blue color kept the plentiful spirits at bay. When indigo cultivation declined in the 1780s, Gullah slaves continued the custom with blue paint. It is a practice that survives to this day, perhaps no longer for a spiritual repellent, but as a tradition, nevertheless” (p. 72). “And will the root actually help him? Probably so. If rootwork were not effective, the practice would have died out centuries ago. Most likely, one of the man’s [the client] confidants will mention the conjuration to another, and the news will go whispering through the community until the rejected woman [the target] hears that she has been rooted. And since she knows in her heart that all her subversion was wrong in the first place, she will immediately desist her sundry annoyances” (p. 62). This perspective is not one I particularly endorse, as I truly think rootwork has power in and of itself, and that the spiritual and magical components are far greater than the psychological ones, but it is certainly not an invalid point of view. This is a book that I recommend to those interested in Southern rootwork, particularly its history and social relevance. It’s not one you can learn a lot of new tricks from, but you can certainly pick up a few things as you read. If nothing else, Pinckney has a deep love and reverence for the Gullah, the South, and rootworkers at large, so the book feels like a conversation with a good friend. If you think hoodoo, particularly the kind found in the Carolina/Georgia islands, is your thing, check out Blue Roots. I’d like to recommend a book today which falls firmly into the “fiction” category, but which has an amazing amount of conjure-related material in it. 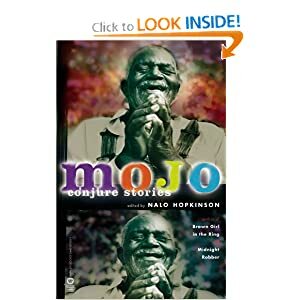 It’s called Mojo: Conjure Stories, and is edited by Nalo Hopkinson. I say “edited by” because this is a collection of short stories, and every one revolves around some deep South magical topic. Some are okay, some are quite good, and many are superb. The book features authors like science-fiction maven Barbara Hambly, African-American author devorah major, and dark fantasy genius Neil Gaiman. “Daddy Mention and the Monday Skull” by Andy Duncan – An aged convict contacts an alligator swamp spirit in order to get a beautiful singing voice (and consequently a chance at freedom), but winds up biting off a good deal more than he can chew. “Heartspace” by Steven Barnes – A man goes to visit his estranged and dying father, only to walk into the middle of a conflict between his fiery half-sister and his father’s new wife—a Gullah woman with some powerful tricks up her sleeve. “The Skinned” by Jarla Tangh – An old man who knows the secret behind the terrifying monsters lurking in his neighborhood decides he will confront the beasts, only to endanger his very soul in doing so. “Death’s Dreadlocks,” by Tobias S. Buckell – The children of an African village caught in the crossfire of several warlords turn to Old Ma, who teaches them to see the ropy strands of Death’s hair all around them and avoid fatality. The children decide to follow the hair back to its source and put an end to Death once and for all. “The Horsemen and the Morning Star” by Barbara Hambly – The Old Gods from across the sea ride their “horses” (slave devotees) in order to battle a plantation owner and his sorcerous friend, who are conjuring up their own forces—Satan himself—using the slave children as sacrifices to do so. “Cooking Creole” by A. M. Dellamonica – A man who’s tried his hand at gambling, guitar playing, and other “gifted” talents decides to go to the crossroads one last time. He thinks he’s finally found his calling: he wants to learn to be a Cajun cook. But he doesn’t know just what this cooking school will cost him. “Shining through 24/7” by devorah major – This strange tale revolves around a woman who tries to steal from a hoodoo woman. A hoodoo woman who happens to live near a chemical storage facility. A radioactive chemical storage facility. A strange but delightful story. And these are only about half of the wonderful tales collected in this book. I picked it up out of my local library and loved it. 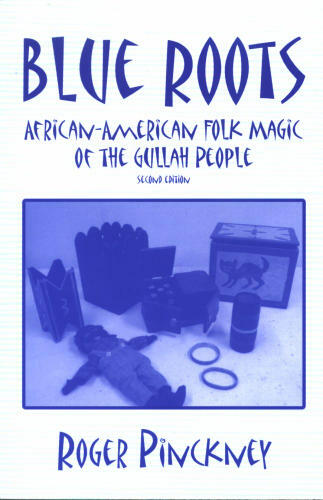 If you have any interest in Southern folk magic, African-American religious practices, fairy tales and fantasy, or just plain old good storytelling, I highly recommend getting this book.